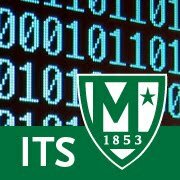 Several internship opportunities are available in the office of Information Technology Services to qualified candidates. We are selecting candidates from all majors for a 10-week internship experience. Interested candidates should click on the "Apply Now" link below. We will stop taking applications on May 1, 2016, however, apply early because applications are being reviewed on a rolling basis. Successful candidates will be contacted before May 7th, however, some positions may be offered prior to the application deadline.